App Workflows will help you save time by automating manual processes. When a new Project is created, five related Tasks are automatically added to the Project. A reminder is sent to the Users responsible, 3 days before the Task Due Date. When a new Deal exceeding a certain price point is created, it is automatically marked as critical and the responsible team is immediately notified. Only Users with admin access can create App Workflows. 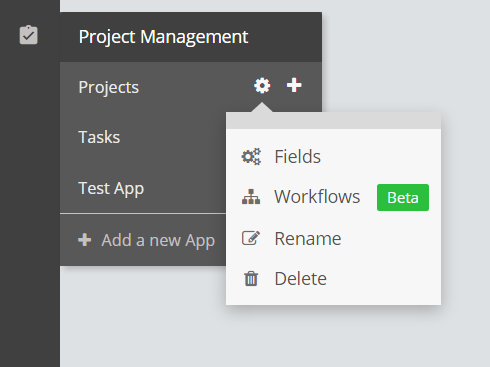 You can access Workflows directly from the App settings menu. Each workflow is made up of three distinct sections. Trigger - The trigger section lets you select the event which will eventually trigger the workflow. 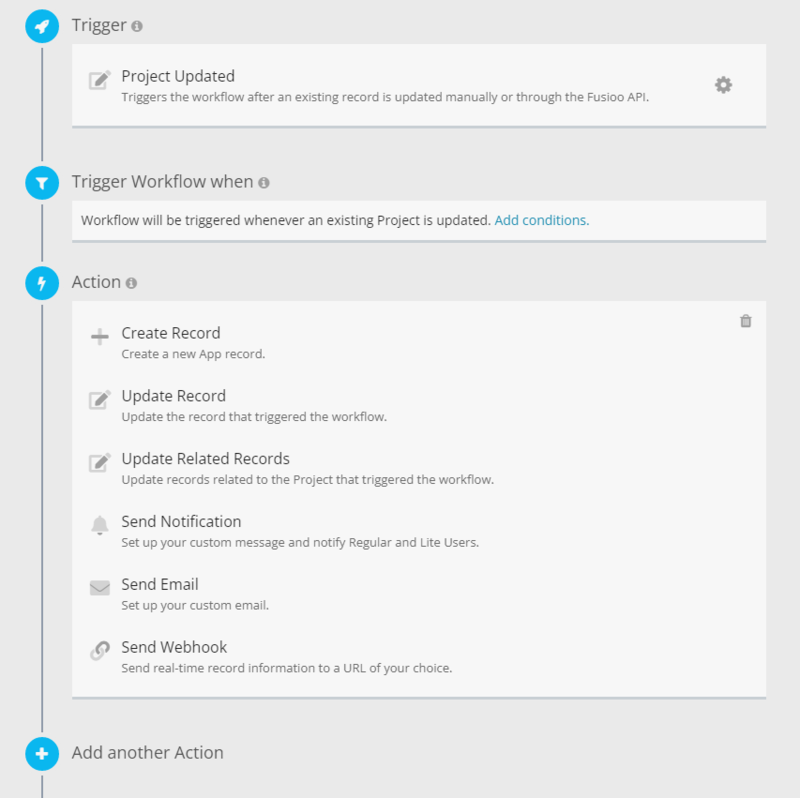 Condition - The condition section (Trigger Workflow when) lets you specify the required conditions that need to be met for the Workflow to execute. This section is optional. Action - The action section is where you can create the actions that will be carried out once the Workflow is triggered.